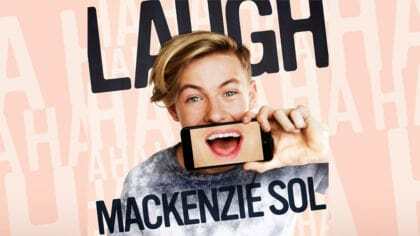 Listen to Laugh by Mackenzie Sol! Each week, Josh picks a brand-new pop song to be his Next Big Thing! It’s a tune he thinks could be huge – and that you’re going to love! This week, he’s chosen Laugh by Mackenzie Sol! The song is all about overcoming those bad moments in life by laughing them off! Mackenzie auditioned for The X Factor in 2005 but is probably most well known for staring in CBBC’s The Dumping Ground! He’s a singer and songwriter who signed with the Hana Road Music Group. Click here to see more Next Big Things! You can hear Laugh from 7pm on Fun Kids Radio with Josh!